Woof! Woof! Miss Olive wishes everyone a very “Happy Friday” and hopes that you will join her and her pawesome guests tomorrow on The Doggy Diva Show! 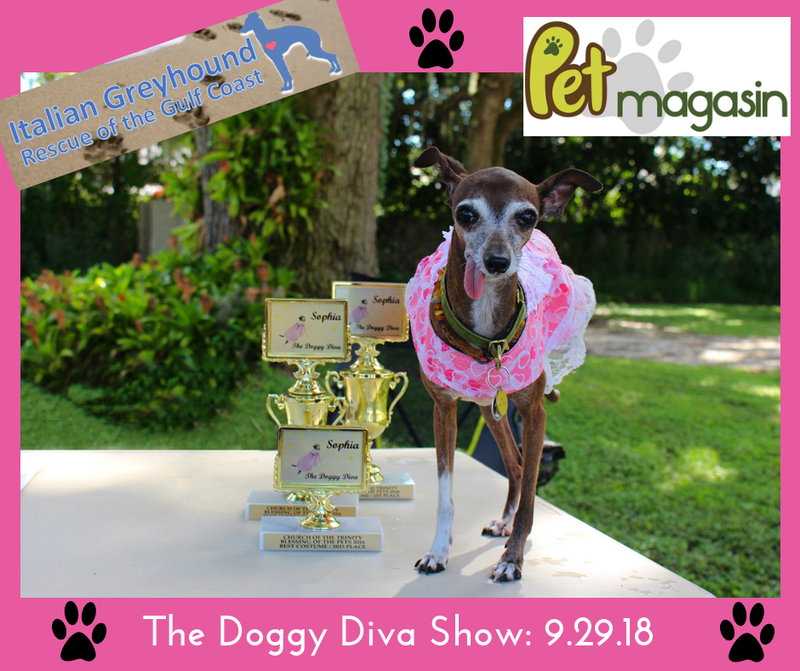 Miss Olive is hosting a fun costume contest Saturday 9/29 at Pet Fair & Blessing of the Animals /MCC Trinity Sarasota (10 AM -12PM)! So fun! She hopes to see you there!